← Too Hot to Cook! 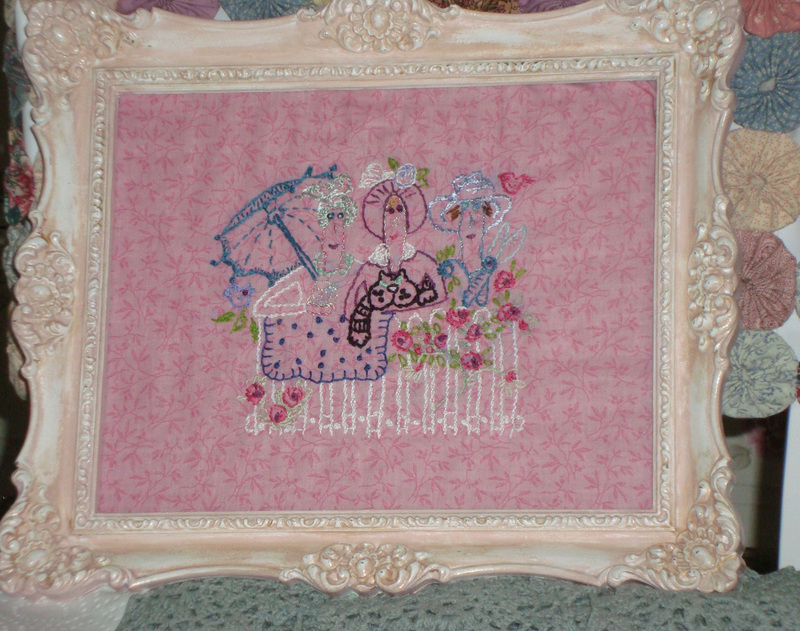 I happened upon the CUTEST embroidery pattern called The Polka Dot Girls. Composed of several larger designs and a few sweet smaller designs all for a quilt, wall hanging, well almost anything you want to make! I’m in love with them all! I picked my favorite, chosen for the big huge cat the middle lady is holding. Reminds me of Hug A Lump, who did his best to lay all over my embroidery box and thread…at one point he was after the metallic thread. After we had an understanding that it was mine not his I started embroidering and fast as lightening that cat pounced on my leg and grabbed the thread before I knew what happened! And because it was 2 in the morning he ran away snickering at me trying to quietly chase him through a dark house. Silly cat…he didn’t barf or die so I guess all is well. 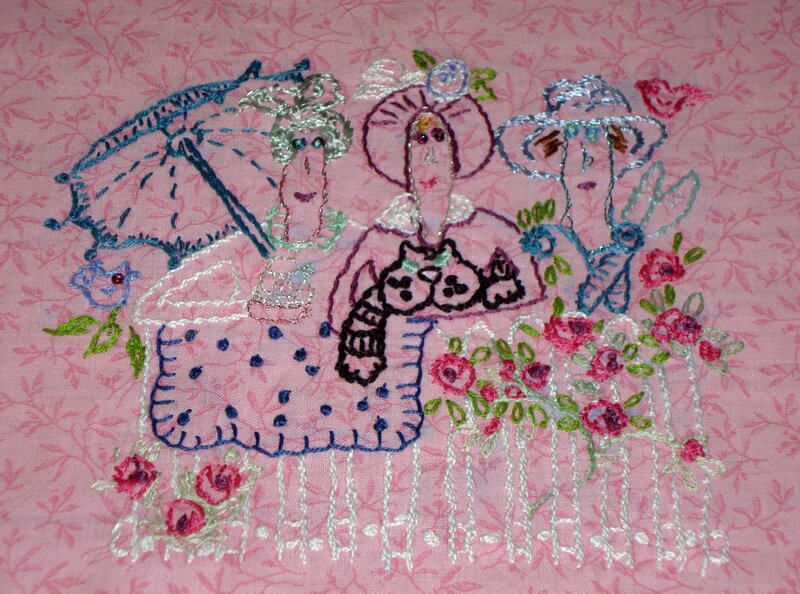 Because I paint, I mistakenly thought embroidery would be similar to highlighting and shadowing. 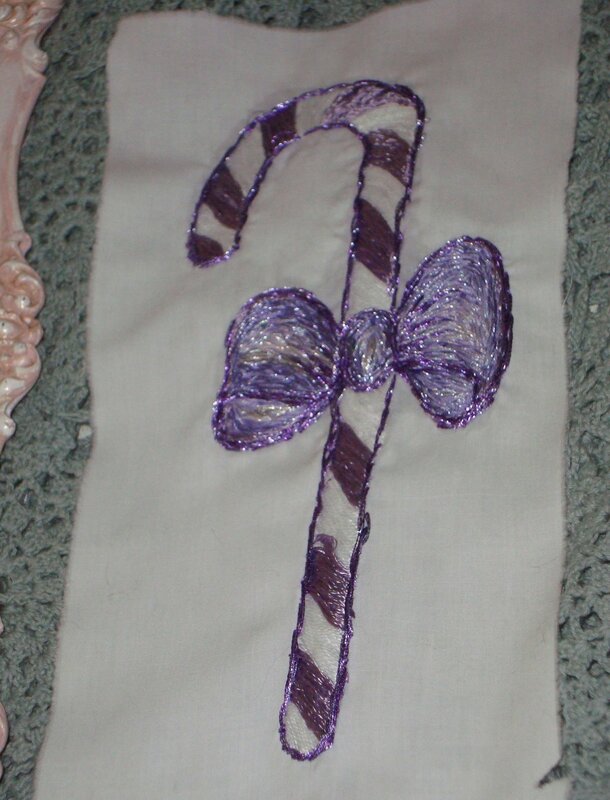 So I designed a sweet lavender candy cane for Christmas and made the bow out of metallic threads of different hues. I had NO idea it would take forever! But,I learned a LOT and will let that guide the rest of my Christmas designs I want to make. I hope you can see the sparkly outline and throughout the bow. Not sure of the frame just yet. 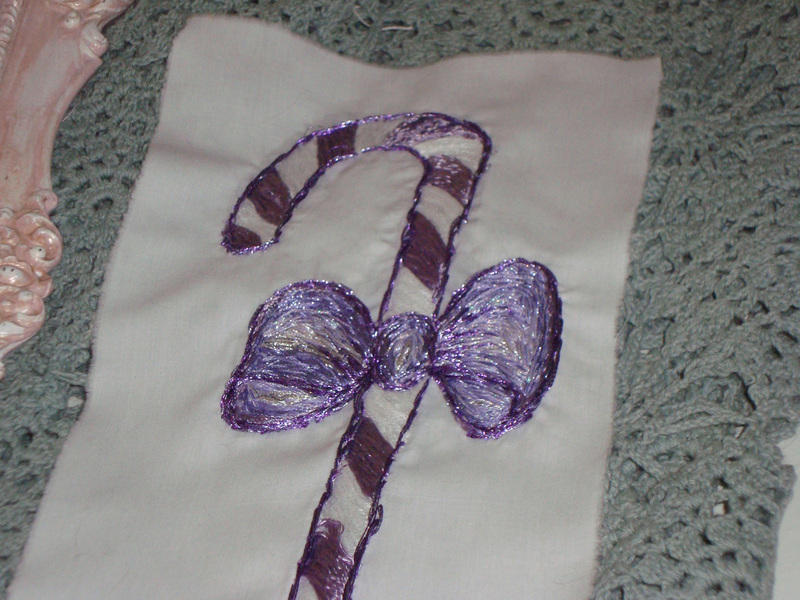 I’m starting work again on the house applique and embroidery. Hope to have some photos of that soon. We are barely surviving the heat! kids said the bank temperature was 108* this afternoon, same as yesterday and the day before…Ugh! And we have August yet to go…and September. I pretend it is snowing and that is why I can’t go out to play…lol! This entry was posted in Candy Cane, Polka Dot Girls. Bookmark the permalink.